ALL UNIVERSITY MUSEUMS are supported by their Universities to a greater or lesser extent, and this core funding provides vital support for museum activities. The more successful ones have aligned themselves closely with the corporate objectives of their host universities, and demonstrated their ability to deliver on key priorities. In addition to revenue funding, a number of universities have recently made significant further investment to support major capital projects, enabling a step change in the level of service that museums can deliver. The Higher Education Funding Council for England (HEFCE) provides invaluable core support currently for 31 museums, totalling £10.5m in 2012-13. This fund specifically recognises the role of University Museums in serving the wider academic community. The Scottish Further and Higher Education Council (SFC) has recently increased its museums, galleries and collections grant to £6 million over five years and all Scottish universities with Accredited collections are now in receipt of a Funding Council grant. These two core funding schemes are crucial to the sustainability of many University Museums, enabling them to plan effectively and to leverage significant additional external funding from private and public sources. Many University Museums have a strong track record of attracting external funding from sources ranging from the Research Councils, the European Union, Arts Council England and a wide variety of trusts and foundations. 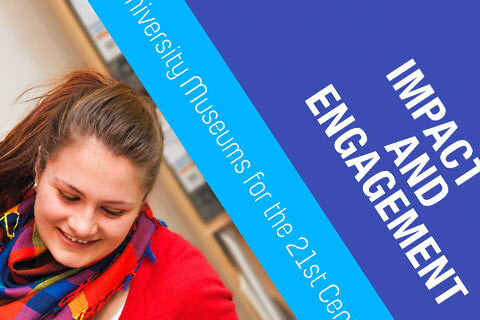 In the last five years, HEFCE funding to University Museums has enabled an increase in leverage of non-HE funding by 179 per cent to £20.34 million. The last ten years have also seen a significant increase in the proportion of museum funding secured from other sources; many University Museums have been successful in philanthropic fundraising and have developed excellent relationships with corporate and individual donors. Income streams from trading activities, such as retail sales, venue hire, teaching and international consultancy are increasingly vital to University Museums’ business models. Despite many encouraging signs, the majority of University Museums remain under-funded and under-exploited by their host universities. Only 10% of the 400+ collections held by universities in England can access HEFCE core funding, while most University Museums currently lack the capacity to fully engage with their university’s mission and demonstrate their real worth. With increasing expectation placed upon large institutions, and greater funding pressures on smaller university museums and collections, the extent and distribution of core funding does not yet reflect their considerable potential to deliver academic and public benefits. Strategic investment in University Museums offers significant academic and societal benefits: wider access to university, deeper student learning, stronger community engagement and many opportunities for research impac. Four University Museums either lead or are involved as partners in the ACE Major Partner Museum funding programme, totalling £19m to those four MPMs over three years to 2015.